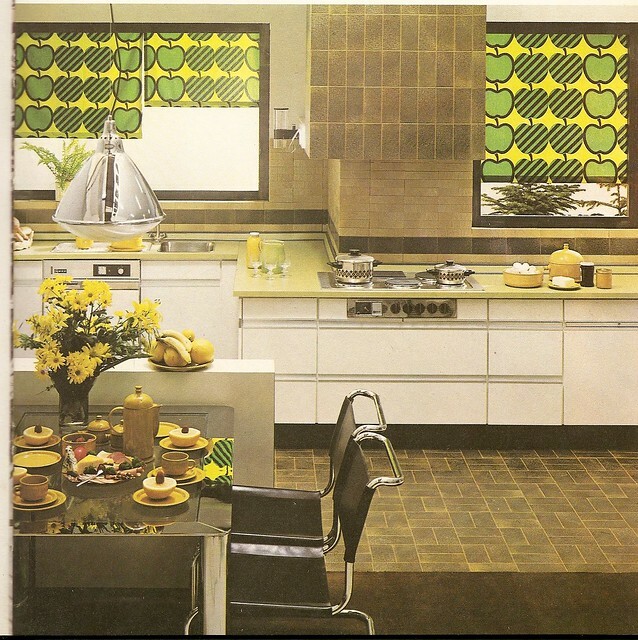 These days the majority of home kitchens are minimalistic with plain and neutral colours, however back in the 1970s it was almost the complete opposite. 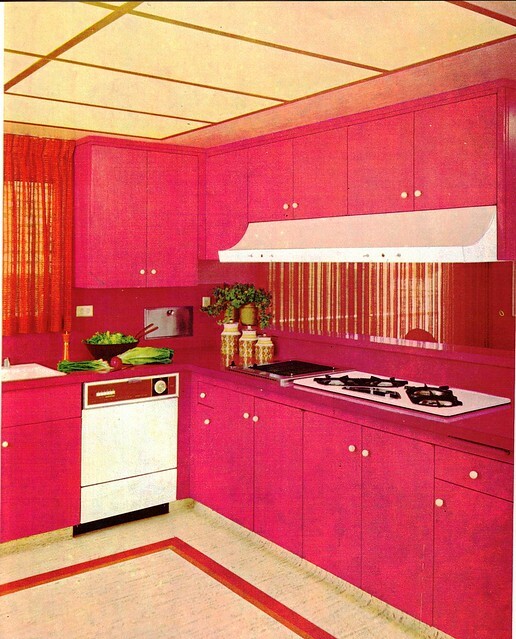 Back then it was all about the bright and bold colours such as lime green, shocking pink and harvest gold. 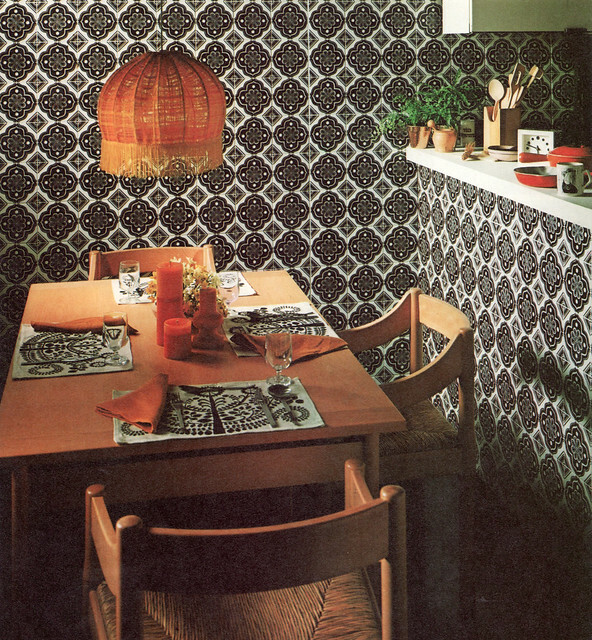 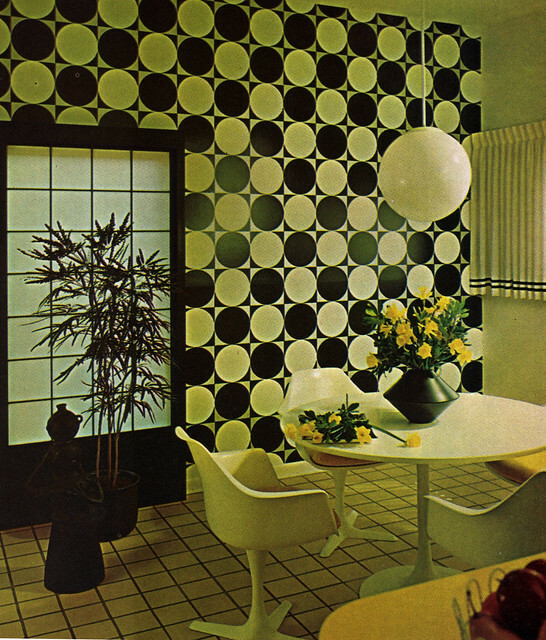 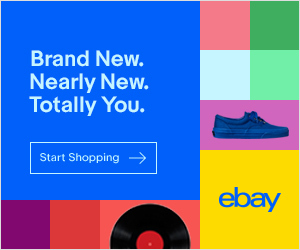 Add to this patterned wall hangings, spaceage lamp shades and some groovy op art tiling and you’re back to the 70’s. 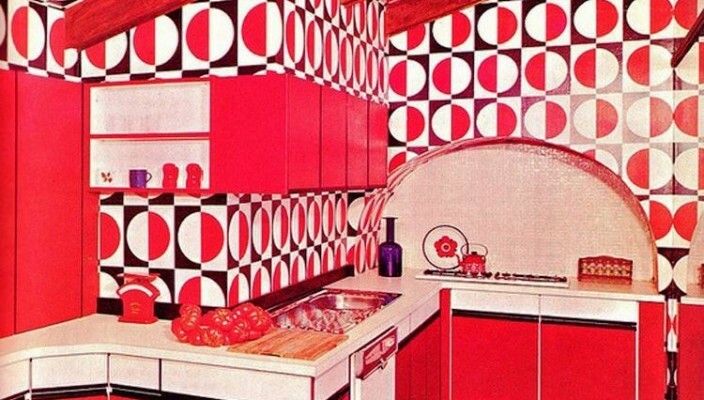 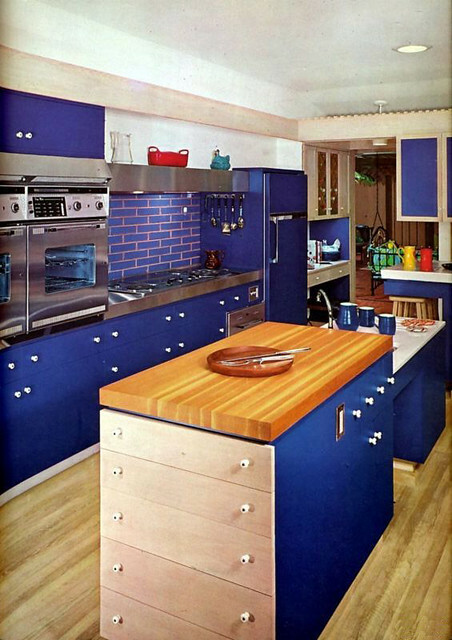 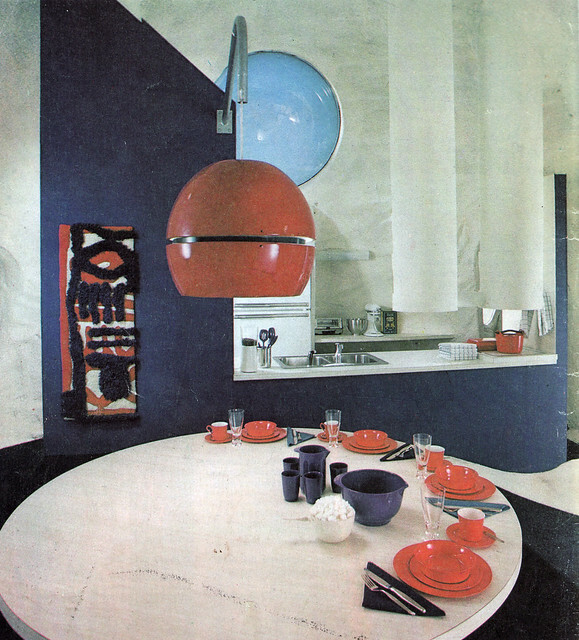 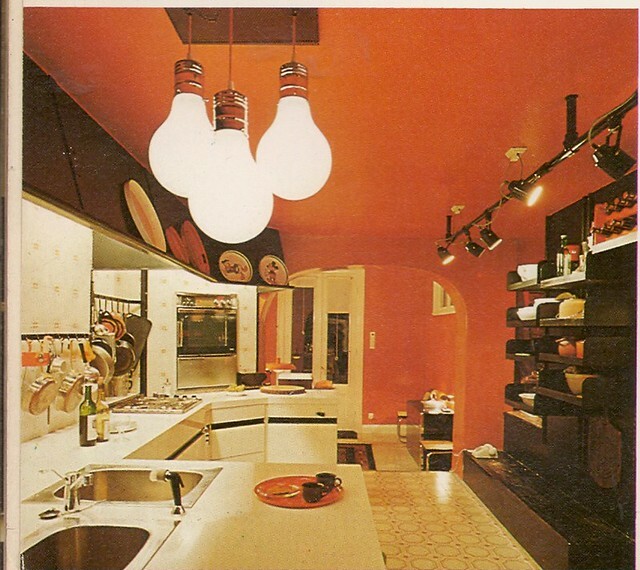 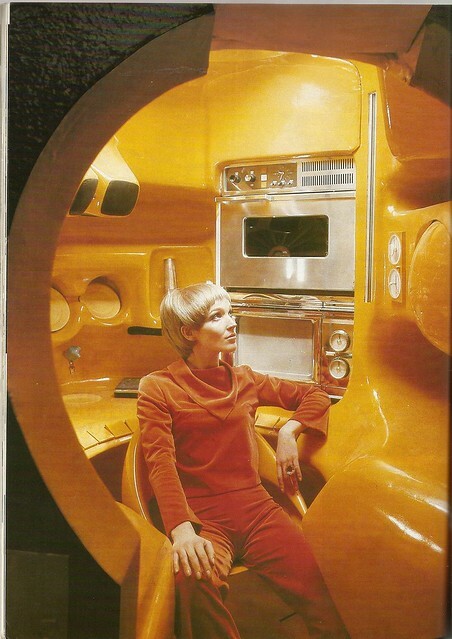 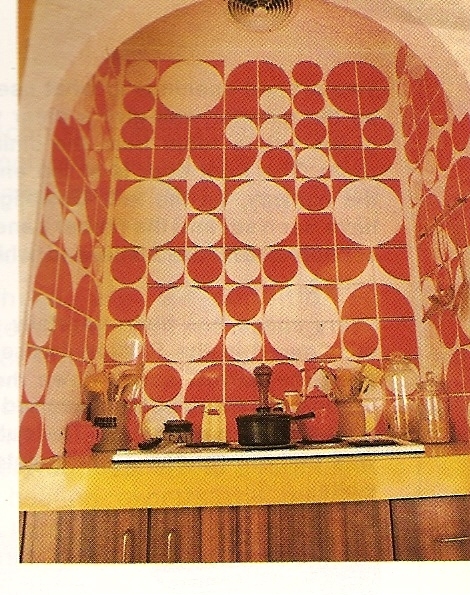 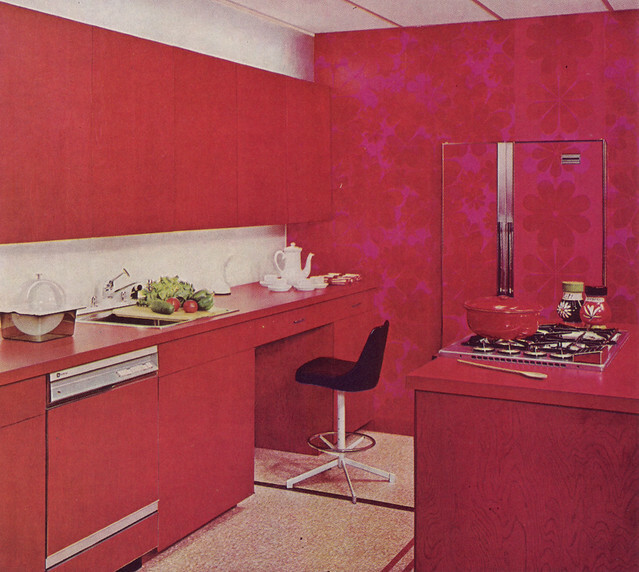 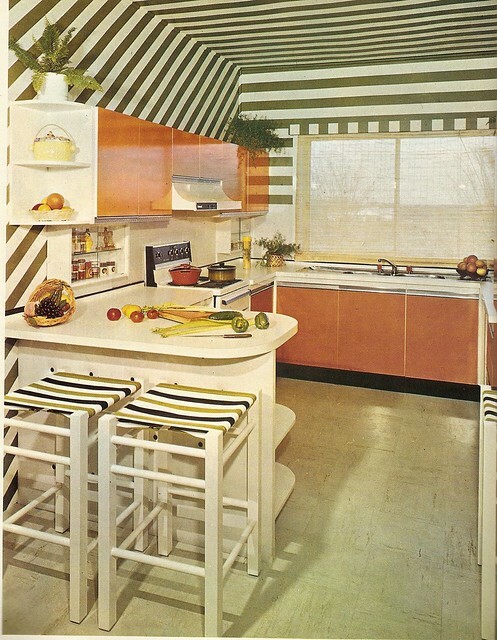 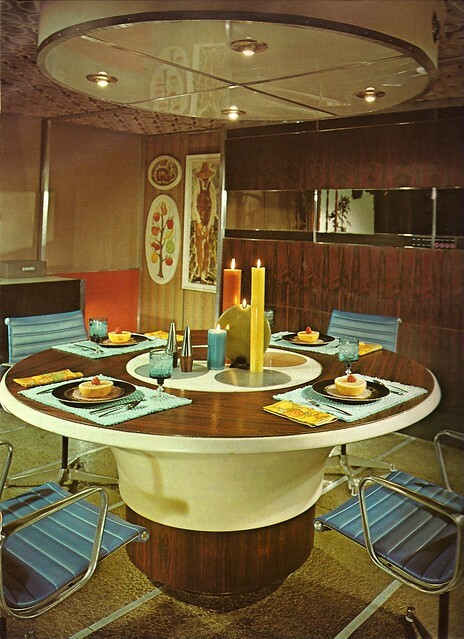 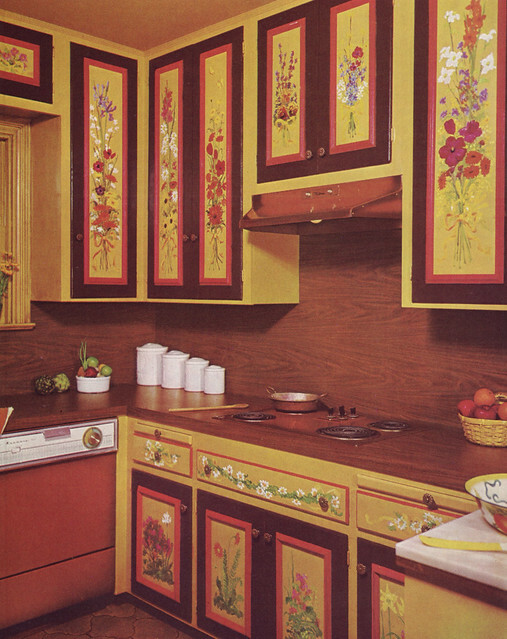 So, let us take you back to the super seventies and show you through a selection of kitchens with a cascade of colour.